I'm a member of the B.C. Sans Fumer in Eindhoven. the programming of BbnOrganiser , a program for handling bridge bidding systems. I developed a nice algorithm to generate figures with hexagonal characteristics: H6X9H. I proved that taking a stroll on a sunny day can best be done clockwise: zon.pdf (in Dutch). Computation of angles for a (stained glass) lampshade. I'm learning the Yang style of professor Cheng Man-Ching as taught by Jeannine Geris, see taichibrabant. I'm very much interested in the design of software components of real-time embedded systems from a professional point of view. Refer to my documents. Reviewing software and documents is one of my specialties: refer to my errata. 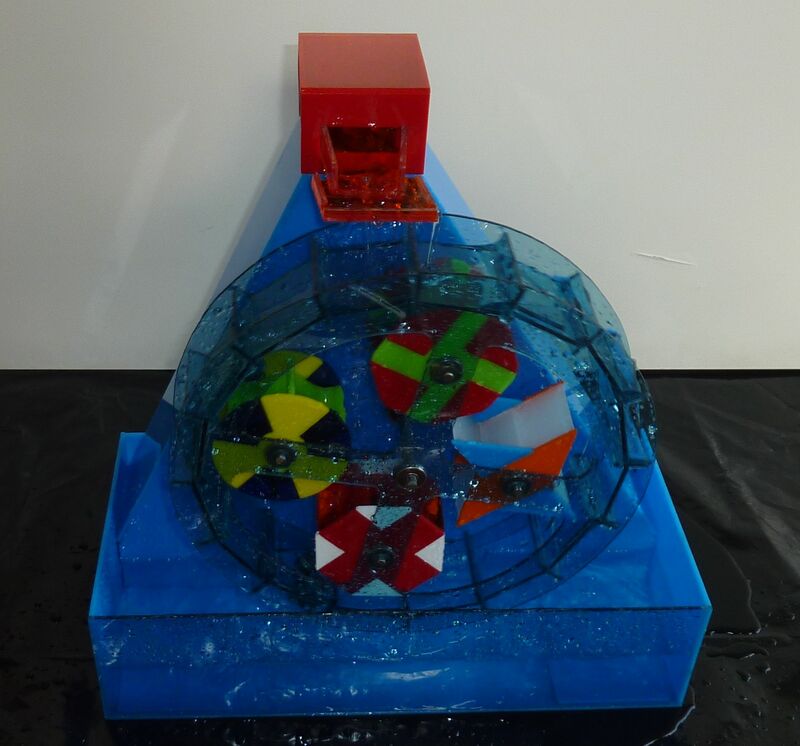 I made a water wheel of Plexiglas containing 4 inner wheels. Click on the picture to see it running chaotically. 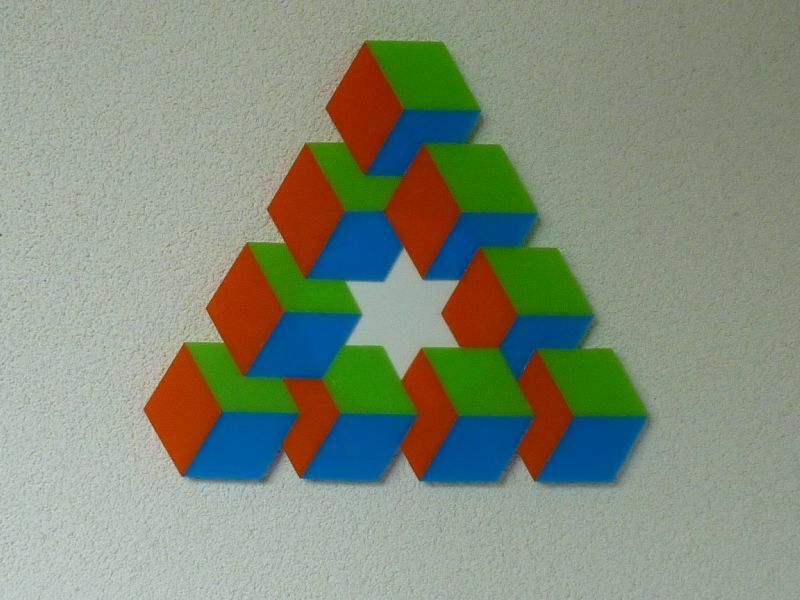 This impossible triangle of Plexiglas cubes is known from Oscar Reutersvärd. It causes even more confusion if you click on it and see it rotating. A long time ago, I was very familiar with chess. I am interested in computer chess, and a member of CSVN. See also ICGA. Recently I played some games at chess.com as RanaCidu. For hobby purpose I have made programs for Commodore-64, Amiga 500, Amiga 4000, Java platform. Currently, the focus is on Android apps. The ideal game for every age: fitness, brains, and fun (for 2).